When I heard that President Obama was going to do a different kind of speech for his State of the Union address, I had high hopes. Word was that he was going to focus on values and set an agenda for the country to ask more of Congress. I had every reason to hope. After all, here was a man who had captured our hearts and dreams with his words back in 2008. He not only understood the power of simple language, he was a master at it. It doesn’t get any simpler than, “Yes we can.” As his time in office wore on, though, Obama seemed to lose his Midas touch with words. Great leaders inspire us. It doesn’t matter if they are the President of the United States or the CEO of a company. The great ones use words that arouse our shared dreams for a better life. It was easy to feel the passion of “Yes we can” and all that was wrapped into those three simple words. Those three words opened our eyes and hearts to what we saw as the promise of a great leader. It was sad how his speech last night fell so short when it was teed up to soar. It was wordy and had no take-it-to-the-memory-bank lines. Those are the quotes that are so easy to recall and carry such meaning that they live on and on. In this age, those quotes thrive in the twitterverse. 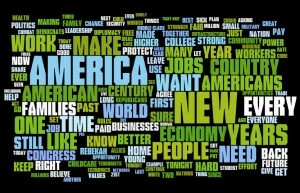 Quick, give me one sentence from last night’s State of the Union speech that you can repeat accurately. Actually, there was one memorable line. Unfortunately, it was a gotcha line, not one meant to inspire and move his agenda forward. I have to say, though, that I liked it! When the President said that he had no more campaigns to run, the Republicans applauded. He smiled and said, “I know ‘cos I won both of them.” It was easily his most quoted line of the night. You should never say your speech is ready until you know the line that people will repeat hours, days, weeks and even years later. And here’s the most important thing about those quotes: They are filled with one-syllable words. If you’re thinking, “Oh, I doubt it.” Take a moment and think of every single memorable quote that pops into your mind. They all share the one-syllable rule. “Ask not what your country can do for you. . .” “All we have to fear is fear itself.” “Mr. Gorbachev, tear down this wall.” These are quotes that defined presidents. 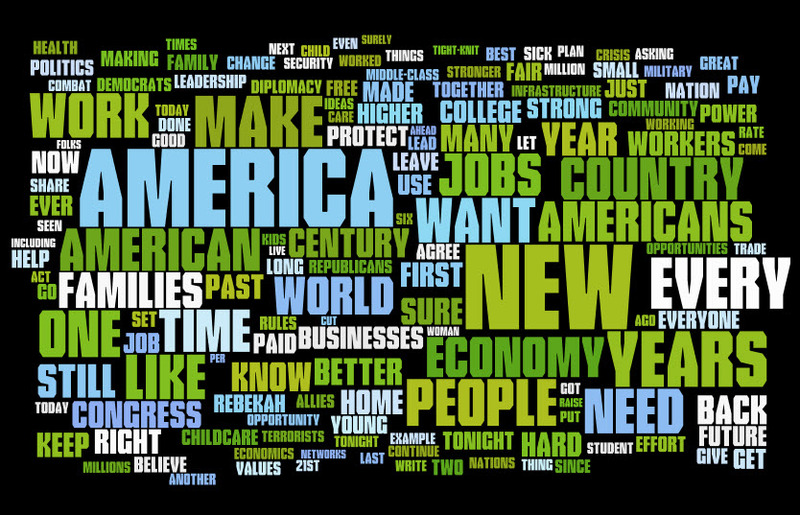 If you look back at Obama’s one big quote of the night, you will see that it was made up entirely of one-syllable words. That isn’t to say that Obama didn’t have good, strong content in his speech. I liked a lot of what he said. But it isn’t the content of their speeches that sets great leaders apart. We expect good content from a leader. What makes some leaders rise above the rest is how they package and share that content. Obama’s speech last night wasn’t bad. It just wasn’t good. Great leaders use simple language. They choose short words and put them in simple sentences. Except for that one gotcha quote, there was nothing simple about Obama’s sentences last night. I wish he had done better. Obama had a chance to inspire people to demand more of Congress. What a legacy that would have been. He dropped the ball.